JOKARI Coax Cable Stripper. 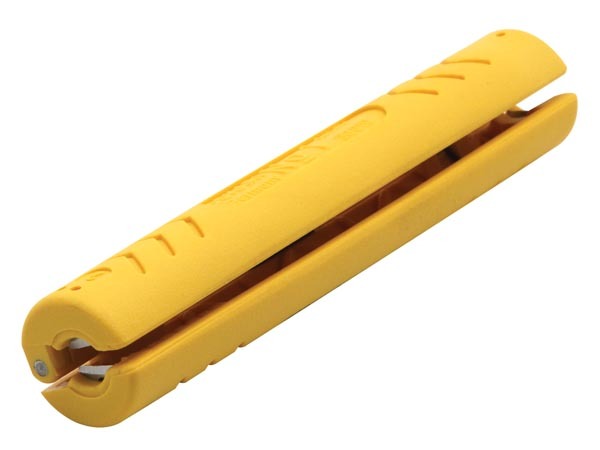 Manufactured in Germany, this cable stripper is a must for every electrician. A patented design which is quick and simple to use. Ideal for use in confined spaces, simply place around cable. Squeeze, twist left and right and pull to remove sheathing.